Shenzhen JH-COM Precision Technology CO., Limited (Abbr. JH-COM) is a professional and excellent designer, manufacturer and supplier in the fields of electrical connectors,waterproof connectors,M5 connector, M8 connector, M12connector, M16 connector, M23 connector, 7/8" connector, industry automation connectors, M5 M8 M12 M16 M23 Cordsets, custom cable Assemblies, wire harnesses,plastic electronic products and enclosures,custom precision plastic injection moulds. At the same time, we provide metal plastic electronics products and components research and development services,Engineering Design Services,2D,3D Drafting Services, Drawing Services,CAD Drawing Services,Prototype Manufacturing. Our highly skilled team is dedicated to providing industrial and daily consumer product interconnection solutions. Our electrical connector products include USB 2.0 connector, USB 3.0 connector, Micro USB connector, lightning connector, BNC connector, SMA connector, IPEX, FAKRA SMB connector, F connector, automotive connector, aviation connector, RF coaxial connectors, wire to wire connector, wire to board connector, board to board connector etc. Our industry automation connectors contain M5/M8/M12/M16/M18/M23 series circular connectors, the waterproof and dust resistant protection rate achieve IP67/IP68. Regarding to cable assembly products, we can customize HDMI cables, VGA cable, DVI cable, Display Port (DP) and Mini Display Port cable, custom made USB cables, iPhone 5/5s/iPhone 6 lightning cables, printer cable, computer cable, SCSI cable, wire harnesses. We can custom these cables by customer requirement for different length and specifications. We have Research and Development department, design and engineering department, mould division, metal department, plastic material division and electronics division. Our company is producing with international advanced equipments, lean production process, and perfect quality control system, which can ensure the good quality of each part. 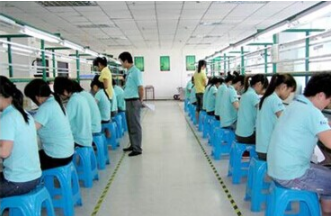 Our company insists the concept of: Quality is out of design and production, and ensured by good-way inspection. With the innovative designing we are committed to produce the products with high performance, good quality, and rational prices. We own a high qualified human resources and a wide range of supplier resources to meet the demands of the customers coming from the locality of China, Asian-Pacific region and global scale. Our company has a superexcellent managing system. It would provide high speed, high quality and high cost performance services for our global clients. We are devoted to establishing a win-to-win partnership with our customers in the long run.